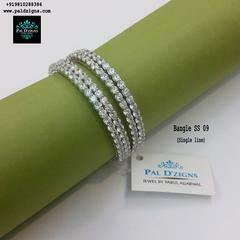 ( Signity has been consistently bringing extremely high quality Cubic Zirconia and has offer ideal cut on CZ. 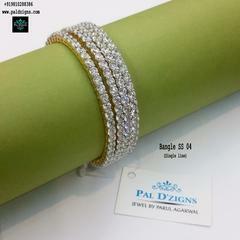 In fact each and every facet on a CZ which Signity produces is precisely cut and polished to very high tolerances. 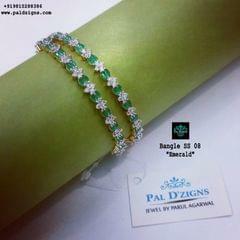 Finish : Gold white Rhodium. 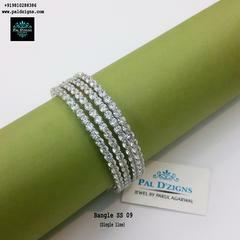 Our Products have good Life and last easily for 10-15 years with very gud care..
Pal D'zigns Jewel comes in Beautiful Hard Jewellery box with Secure Packaging. 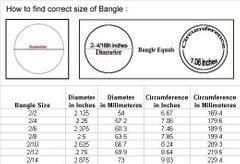 # Please check your Bangle size with the help of bangle size Diagram befre ordering. 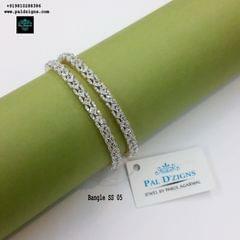 Stylish and Traditional pieces, our designs are a master class in latest trends. 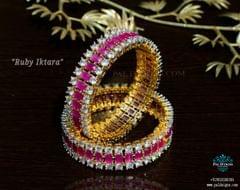 Available in a wide range of hues at very attractive prices. You just can not turn down the chance to buy them.